Ample free street parking, non metered. After 6pm no time limit. Braddock Road Metro train station is 2 blocks away. 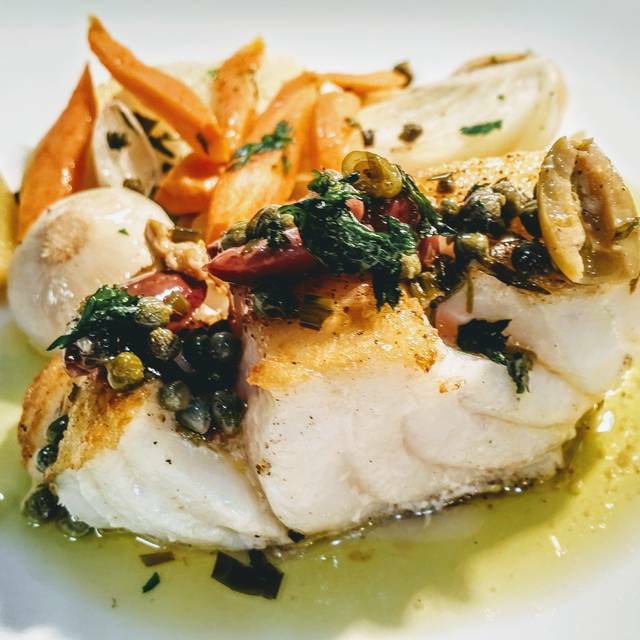 Bastille regularly hosts in-house wine dinners, holiday events and so much more. Feel free to visit our website for the most up to date event listings. Bastille has 2 dining rooms that are available for semi-private and private groups. 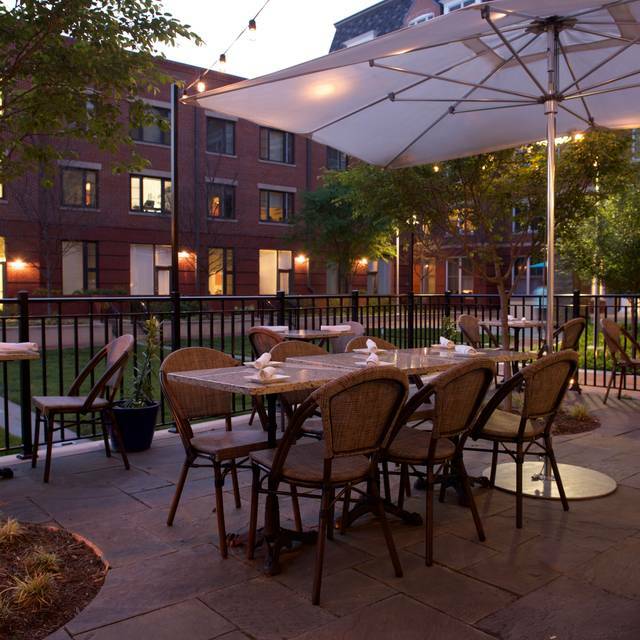 Contact Angela Johnson at management@bastillerestaurant.com to discuss your needs! 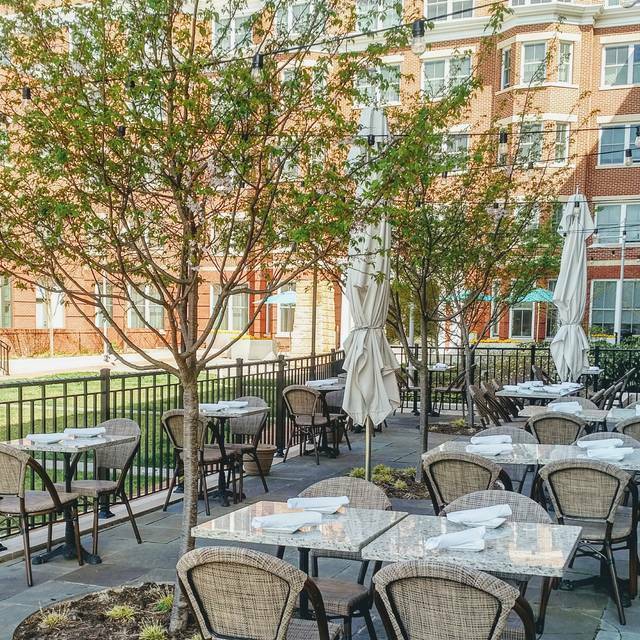 Whether celebrating a special occasion with family and friends or hosting a corporate outing, Bastille can accommodate all your special event needs. 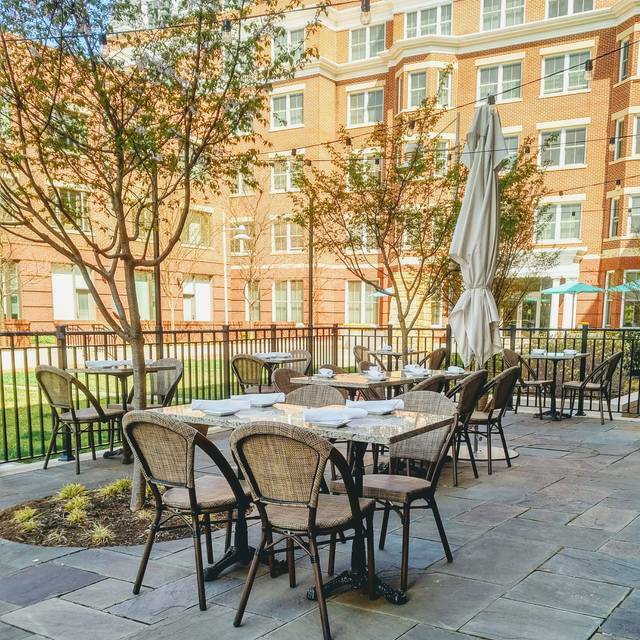 Bastille is located at the corner of North Fayette & Pendleton St and is on the street level of The Asher, Old Town Alexandria's chic apartment building. Drawing from Chef Christophe Poteaux's French heritage and Chef Michelle Poteaux's American roots, Bastille's cuisine focuses on local, seasonal ingredients, prepared from scratch. 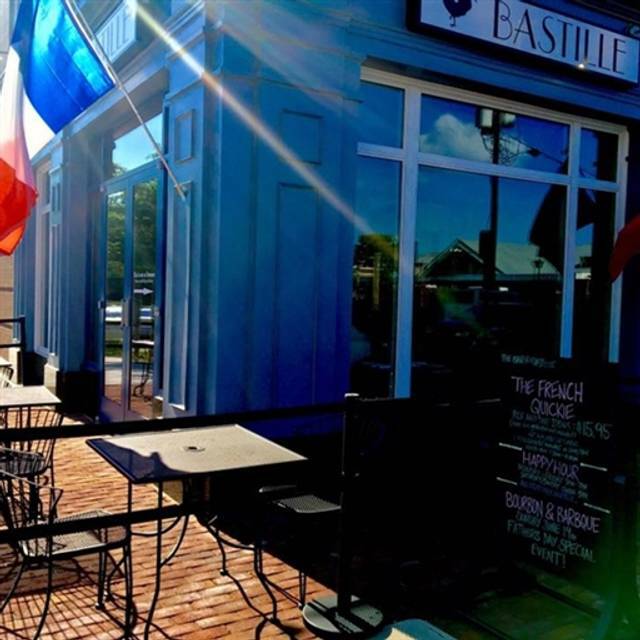 Items like Bastille's house-made ketchup, Shrimp beignets, French pimento cheese and Flatbread, to every entree and delectable dessert are carefully chosen to represent what is BEST about Bastille, Virginia and Contemporary French food. Whether it is for drinks and nibbles after work or just a night when you don't want to cook for the family, the staff at Bastille welcomes you. Enjoy our casual atmosphere where locals and travelers love to relax with creative food, drink and to share a good laugh. She may carry the title of "MOM" but she is so much more! Show her what she means to you with a brunch/lunch or dinner date to Bastille. Prix fixe menu only, no a la carte or regular menu. Menu available online. Credit cards required for booking. Don't make Dad be "head BBQ master today"! Show him how much he means to you by treating him to Brunch or Dinner at Bastille. Start him with his favorite coq-tail and fill him up with our contemporary takes on French food. Excellent Easter brunch. The escargot were out of this world! Shrimp risotto also knocked it out of the park. Thank you, Bastille! My husband and I had Easter brunch at Bastille. The food was excellent. We especially liked the escargot which we remarked was as good as the escargot we had in Lyon, France. The asparagus soup was also very good. The leg of lamb was perfectly prepared and served with baby carrots and fava and white bean ragout. For dessert I had the Valrhona Chocolate truffle cake with chocolate ice cream, which was good but a bit too sweet for my taste. My husband had the Morello Cherry Upside-down cake with pistachio vanilla bean ice cream, which he liked very much. The waitress was friendly but also efficient. We will return to Bastille. Made reservation 2+ weeks out, but host still tried to stick us w/a table next to the entrance to the dining room which would have resulted in having ever patron pass w/in 1 foot of us. UNSAT. Convinced host to move us w/great reluctance on his part. If I didn’t know better I’d say he sat us at a crappy table because we were senior citizens who might not complain...didn’t work!!! We had a great dinner in the back room of the restaurant. Quieter than the front room and we had a relaxing dinner for the four of us. Their 3 course dinner is good for all entries and is really worthwhile. We will be back! We chose to go to Bastille for our anniversary dinner b/c we like the restaurant and the food. Unbeknownst to us, there was some sort of restaurant week special going and the place was packed! (We most definitely did not like the whiny ladies next to us nearly ruining our evening by complaining about everything). My husband loved his pork cheeks (jowls?) and beet salad. My appetizer portion of escargot was so big I couldn't finish (lucky for my man! ), but found the paella to be meh (on the salty side -- and I love salt!). The profiteroles were the best I've ever had -- light and fluffy, not too sweet. In addition to handling the whiny ones with grace, Kyler treated us like royalty and made our celebration extra special -- a true PRO! THANK YOU, KYLER!! Thursday is one third off wine day so it is espically attractive. It was a tasty menu with very enjoyable food. The service was good and we were able to visit well. Excellent as always! Superb predation and presentation! Delicious meal and fantastic dessert. Delicious food, great ambience and good value. This will be one of my favorite restaurants. Can’t wait to visit again. I was there for brunch on a Sunday, and it was a gorgeous day. My friend and I ate out on the back patio, and it was lovely. Nice shade from a cherry tree in bloom, as they are at peak this week. I would suggest they add one or two more French tissues to menu. Would love to see a pate and a steak tartare like they do in Paris, with frites and a petit salad with a light dressing. The waiter was wonderful and took good care of us without being intrusive. And it is a nice walk to King Street, so we did a little browsing after we dined. Easy to find parking here too. Lovely French bistro. Parking was easy there seemed to be a lot of space on the street. Food was excellent. Not too expensive by DMV prices. Romantic. The Bastille was good when it was in North Old Town. Now it seems to have changed. The food we had was greasy. The steak was tough, the chicken and fish were oily and escargot were rubbery. Lovely neighborhood gem! A great date night for those looking for a small, relatively quiet location off the beaten track in old town. Not touristy, this is mostly frequented by locals and those who have discovered this cute place. The food is typically good although we've had some minor misses. The ambiance makes up for it. Service can be a little disjointed at times with waits in between courses. I don't know if it is due to inattentive servers or a slow kitchen. But it's still worth a visit as you can fill the gap with another glass of wine! And they have a dog friendly outdoor patio out back during warm weather. We like it and forgive some of the minor quirks. Very nice overall. We go to Bastille for the food but also the ability to converse. It's quiet, the tables are far enough away from one another to allow for conversation without disruption. Only downside: no mussels on the weekend brunch menu! We went for a special wine dinner. The food and wine were superb, but the service, while perfect was (purposefully) slow and the meal was about an hour too long. As always, we had a wonderful meal at Bastille. This time we went for lunch, which is a lot quieter than dinner. I had steak frites with Caesar salad and my friend had the lunch special of white truffle and asparagus risotto. We both chose chocolate profiteroles. The food was, as usual, outstanding, service was very attentive and the prices very moderate for a first rate French meal. Minor complaint--wish they would offer their delicious foie gras appetizer at lunch, and not just dinner! Service was far better at the "old' Bastille. Our server's voice was almost inaudible; he was polite but generally inattentitive. Menu and food quality were also better at the previous location. With so many other dining establishments in Alexandria, I doubt I'll be a repeat customer. Great spot for happy hour with friends! Creative coq-tails and delicious small plates. We enjoyed yummy shrimp beignets and grilled flat bread, plus super-fresh salads. 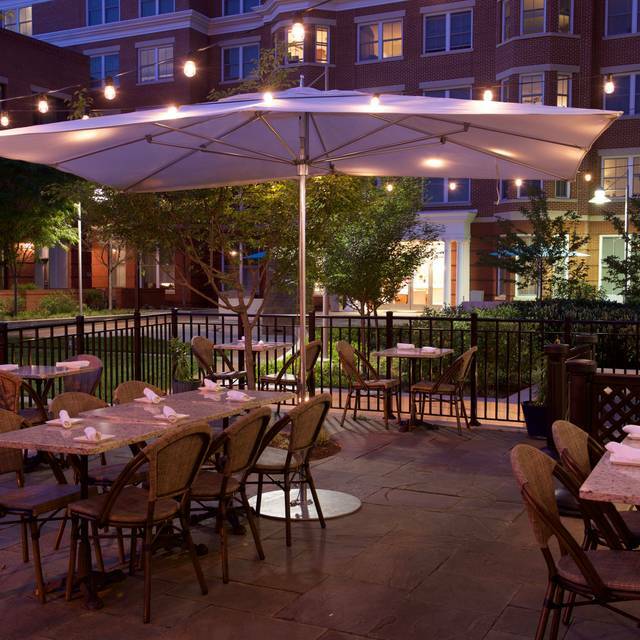 Bastille is among the top three favorite restaurants in Washington, DC, Maryland and Virginia, where it is located. A must visit, lunch or dinner! We went to Bastille after a long time and a move of the restaurant to a new location. The new place looks nice, but the food and service have deteriorated with time. The staff was friendly, but poorly trained. There was a long gap between being seated and being approached by our waiter. There were even longer gaps between one course being removed from our table and the next one arriving. We had to wait about 15 minutes from the time of our main course until our desert. I don't like being rushed during a meal, but this was the opposite extreme. We had to ask for bread and the staff was clearly unfamiliar with the wine list, telling us for example, that a bottle of wine we were interested in was a red, when it was a white. All dished arrived lukewarm, a sign that they had been sitting in the kitchen for too long a time before being brought to our table. The cassoulet was very salty. Portions were ample, but I would have preferred smaller portions of higher quality food served promptly. Food was not as good as last time I went and service was a little slow. I did like the musical combo. Fantastic meal! Enjoyed the wide selection of choices. Will be back to try other selections. Food is unique and delicious. wonderful attentive aervice. Always a great experience. Outstanding service, and ambiance only enhance the delectable that arrive at your table. Love the happy hour wine too! I'll be back. Wonderful experience! The staff made us feel like we were the most special people there. And the food was outstanding and the Prix Fixe is an excellent value! I look forward to dining with you again. Bastille never disappoints us in any way. This dinner was to celebrate our grandson's 10th birthday, and they made him feel very special. It added to his experiences of "fine dining" which he is most definitely a fan of! The first time I went to Bastille, I couldn't wait to get back. The second time was not as good as the first time. I'll go back a third time and hopefully I will be impressed again. I would like to give them more stars but this is the second time at this place and both times we felt unwelcome, the first time we couldn't get a table and the lady at the entrance was absolutely rude. This time our friends got us a gift card so we decided to try it again. Well, our server was not friendly, she didn't bother to explain the menu at all. The food was ok, I had steak and eggs; the potatoes and salad were bland, I also had the soup and it was great, the crepes dry and lumpy, not worth it at all. My husband's chicken paillard was excellent. I wish their workers were much more welcoming kind, not acting as if we are lucky to be there. Enjoyed the fix price brunch. Try the appetizer beignets. I would come back. The service was a little slow and the grits seemed more like risotto but the chicken paillard was delicious and the mimosa were a great value. Our server provided exceptional service and the lamb chop special was delicious! Straightforward yet thoughtful menu. We loved our meals! The service was great, very attentive. The only thing that could be improved was the ambience in the dining room. Anniversary celebration (which we informed the restaurant of on Open Table). My wife ordered the salmon (based on how good it looked on a fellow diner’s plate). The salmon on the other diners plate literally covered 1/4 of the plate. The portion my wife received was smaller than the size of a square post-it note and not exceptionally thick. We remarked to the wait staff that the portion was extremely (ridiculously) small (particularly when compared to the large portion on the other diner’s plate). Wait staff reportedly spoke to the chef who indicated that they weigh each filet and all are 4 oz. The wait staff offered no remedy to us. I gave considerable thought to asking to speak with the manager, but since it was a special occasion, it felt awkward to bring unpleasantness to the diner. I had frites along with my mussels - frites were soggy and undercooked. Just letting management know of a situation that could have been handled much better, and that they have not only lost a potential repeat customer - but we’ll most assuredly share our experience with friends in the area and will recommend that they seek other French dining options. The food was delicious! We had the beet salad and the mushroom risotto. The noise level was good so that it was easy to carry on a conversation.